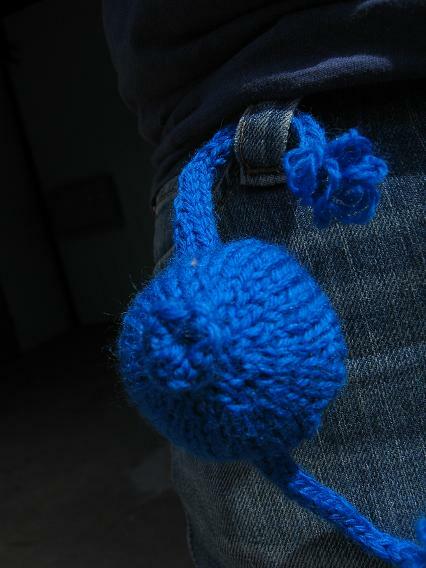 If you've ever had the slightest desire to knit Womb, do it! :) Its SO quick... it took me more time to find the pipe cleaners than it did to knit and sew up. I added a single bead to the fimbria, just for fun. Check out Jess Hutchison's finishing tips for sewing the fallopian tubes on-- either in her Unusual Toys for You to Knit and Enjoy book or from the Kate pattern from Winter Knitty 2005. I've also been working on a project I'm thinking about submitting to Knitty for the Summer 2006 issue... the extremities issue! How rad is that? Forget Spring, I want the Summer issue!! Who doesn't have stuffed leopards and toy trains on their dining room tables? And yeah, that's Elmo in the background on my desk. Looks like a daycare threw up in here today. I see your little one must like Thomas, too! Mine both do. Got a little Mavis kicking around here somewhere. Good luck with the Knitty thing! I was half thinking about submitting a sock pattern sometime, but after all I read about the rejections from her on other blogs I haven't pursued it! I don't deal with rejection well. That is so cool! LOVE the blue womb! 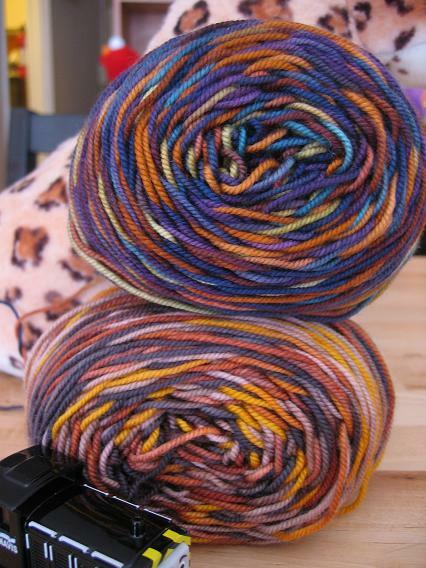 Can't wait to see your pattern for knitty! Good luck! Love the blue womb! But now that song is stuck in my head for the rest of the day, I just know it! Too cute! For some reason I thought they were larger than that. Your STR yummy, especially the tigers eye! 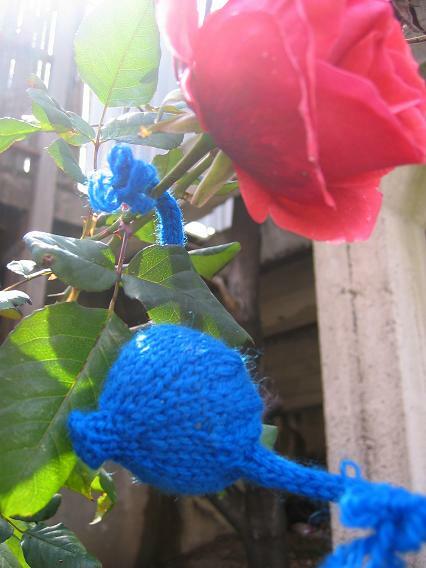 Best of luck w/your knitty submission!